After proving he has the nerve to match his undoubted talents in the UK Championship this weekend, Judd Trump’s price for the World Snooker Championship has been cut. The 22-year-old Bristolian, impressive in beating Mark Allen 10-8 in yesterday’s final in York, now joins John Higgins and Mark Selby as a 7/1 shot to claim his third rankings title. Trump, a very attack-minded left-hand cueman, is tipped to dominate the snooker world in the coming years, and proved he is not fazed by the big stage when achieving a runner-up spot in last year’s World Championship at the Crucible. As aforementioned, the character displayed in his triumph over Mark Allen will stand him in good stead, overcoming a 3-1 deficit to defeat his Welsh opponent. However, it will be far from plain sailing for the youngster, who could find it difficult to cope with the experience of his field of competitors in Sheffield. Four-time winner John Higgins’s chances cannot be underestimated, and Ronnie O’Sullivan, who has outlined intentions to retire shortly, could show determination to go out with a bang and claim a fourth title. He is priced at 8/1 to do so. Neil Robertson is an interesting proposition in that the Australian’s playing style is perhaps most similar to Trump’s out of his potential opponents. Possessing obvious strengths in terms of potting, yet not the most adequate at playing safety shots, the two met in the first round of last year’s World Championship, where Trump won 10-8 to disintegrate any chances of Robertson retaining his title. 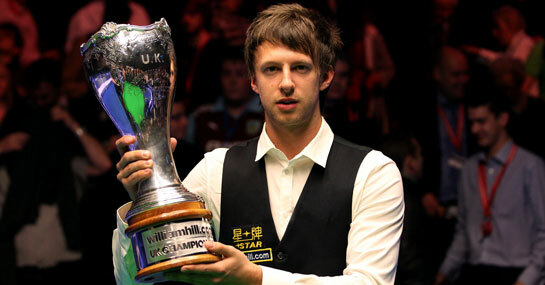 Aussie Robertson is 8/1 to repeat his 2010 success in the upcoming tournament. Mark Selby could draw comparisons with trump too, through their respective accomplishments in this competition. Whilst Trump has competed only once and reached the final, Selby is another favourite who has failed to win the World Championship, though he has made two semi-final appearances and finished a runner-up on one occasion.